Hi Dolls. So a new trend that has become very popular, especially in fall is definitely velvet. It was seen on Kim Kardashian, Nicole Richie, Lady Gaga etc. And I have to say that I love it. Usually I wouldn't choose this type of fabric, but this year something just clicked. I love the whole holiday feeling and I think it's a great trend for fall and christmas time. But you have to be careful with accessories and shoes, because it can get over the top. Anyway I have to say GOTTA HAVE IT. And what do you think? GOTTA HAVE IT or MAKE IT STOP? I love velvet, it's so romantic! dear, would you like to follow each other maybe? Dropping through and following you back! I don't like velvet much, except for a velvet finish on boots or shoes. Think I'll skip this trend. really like the black velvet dresses! Hmm, I love velvet. That marigold velvet dress is heavenly! I really love the velvet trend! 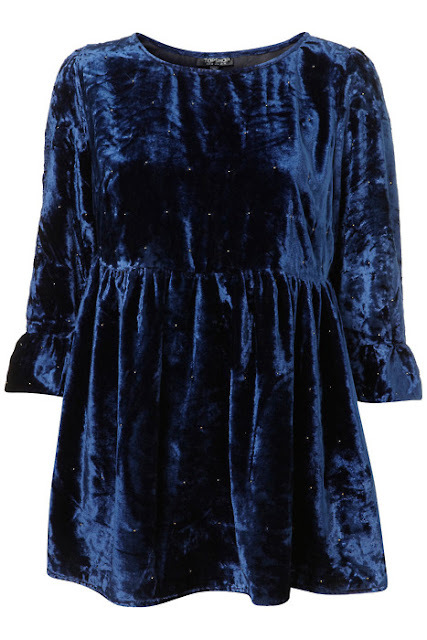 Would love to have a velvet dress!